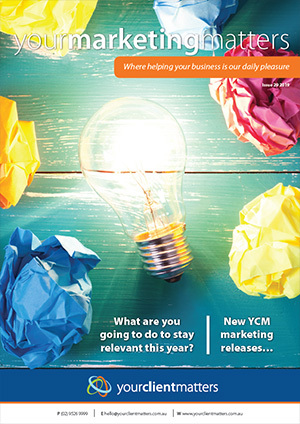 This quarterly marketing publication has been designed to educate and motivate you to take control of your marketing. We hope these marketing tips and articles help with your business and we look forward to working with you if the need arises. How did you hear about Your Client Matters?